Snowstorm Harper is heading our way and that prompted me to finally finish a post I have been taking notes for, well, forever! 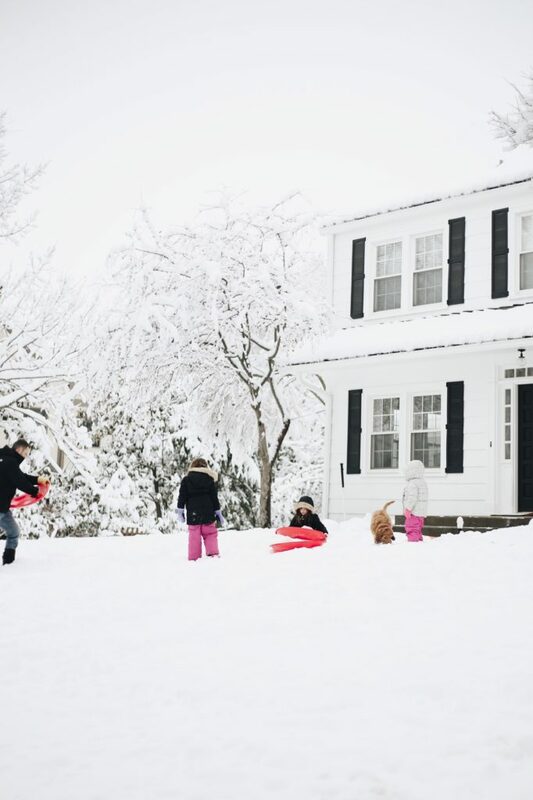 Winter can get long and dark, and if you have kids, it can be straight up cabin fever after too many days stuck inside. Last time we had a bunch of snow/no school days in a row, I searched online for “fun snow day activities” and the first list I got included “banging pots and pans together.” HARD PASS. So I’m sharing a few of our favorite ways to stay sane & entertained if you’re snowed in! Games // We are obsessed with playing games as a family, it is such a fun way to spend time together, especially once your kiddos are a tiny bit older and have the attention span & understanding to play. If you’ve watched my IG stories lately, you’ll see that Headbanz is our current favorite, Santa brought it to the girls for Christmas and it is so much fun!! I would say kids as young as even 2 or 3 can play! We also love Zingo (really fun for little ones, can keep them occupied forever and ever), Candyland, Guess Who, Go Fish and Uno. If you have a little bit older kids who know all of their numbers, Racko is super fun, even for adults, Brandon & I played this with friends in town the other weekend (without the kids) just during conversation and it is a blast! 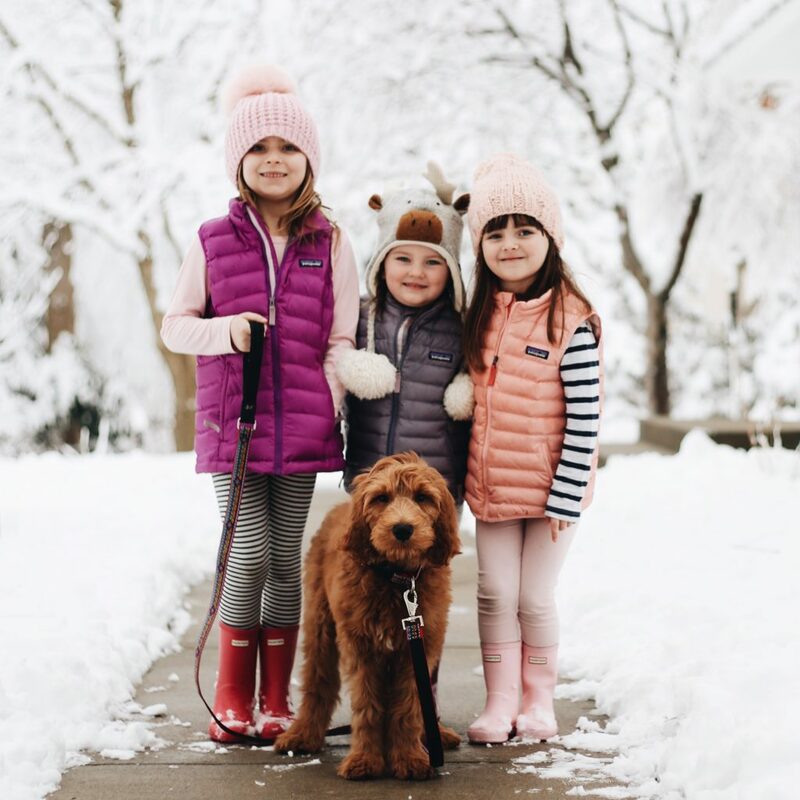 Get Outside // Ok sledding, snowballs & snow angels is the obvious answer to “wtf are we going to do all day.” But if you have little ones, you know you’ll likely spend more time trying to put seven hundred layers of snow pants on than you actually will outside. 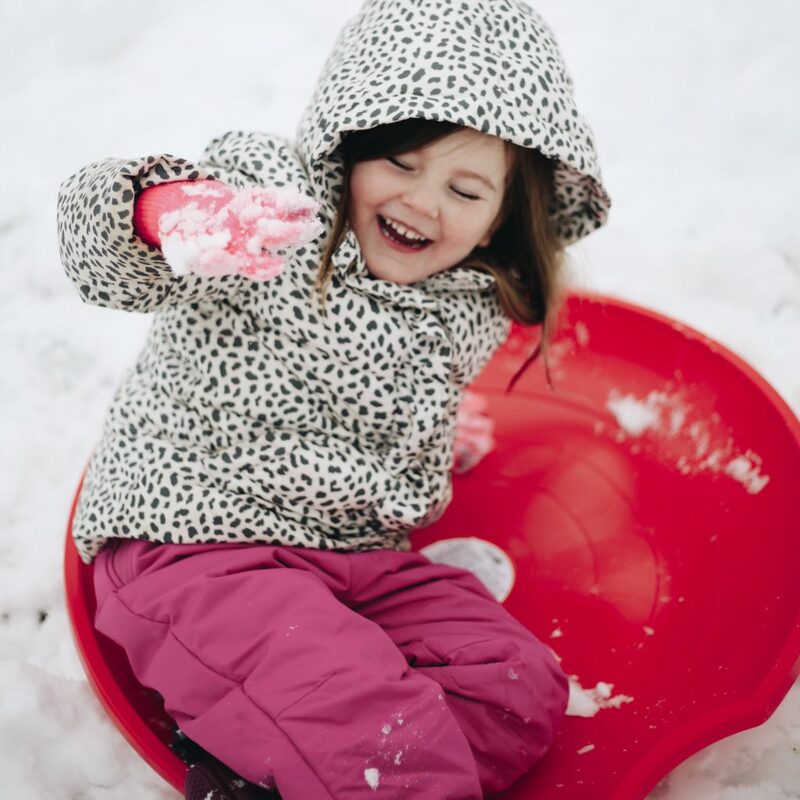 Saucer sleds are the easiest for little kids to use, but we’ve also used pool floats from summer & laundry baskets in a pinch. The girls always also love to build a snowman (or a snow family) and make snow cream. Movie Marathon // Once we’ve had enough of the cold, we usually resort to warm bubble baths & a movie marathon! If you haven’t watched the Parent Trap lately, it’s so fun for kids of all ages and so nostalgic to watch again as an adult! The girls also love the original Mary Poppins, Willy Wonka & the Chocolate Factory and Sing! To make things even more fun, add a blanket fort to the mix. Baking // We always end up cooking or baking something fun on snow days. I love letting the girls do most of the work, even if it means making an enormous mess. Sugar cookies are perfect for snow days! Another fun treat is popcorn bark, which is a great addition to the movie marathon. And when all else fails, get your kids a hippity hop. Our girls never. stop. bouncing. Try the game Sleeping Queens. Your girls will love it! Question about games! My kiddos are about the same age as yours…do you have Headbanz Jr, or regular headbanz? And which Zingo? Thanks! Love love this post! We are always looking to mix up our routine! We have both kids enrolled in ice skating classes – such a fun winter activity! My youngest is 3 and is doing so amazing after just a few classes! We also are subscribed to the Highlights High 5 for younger kids and enjoy the recipes, crafts and “experiments” each month! Thanks for always being real and inspiring! 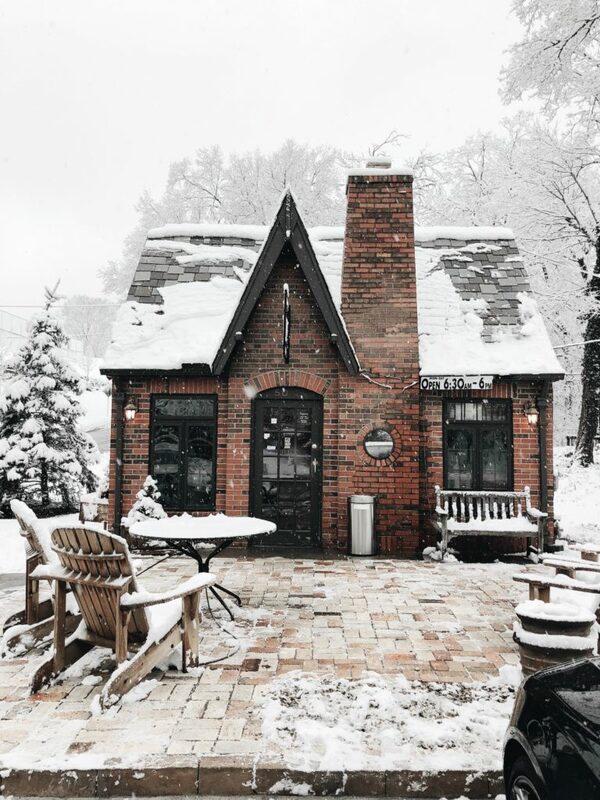 YES to snow cream! I’m from the Midwest and moved to the Northeast and nobody knows what it is. I added a Northeast twist to the basic recipe and sweeten with real maple syrup. YUM!